This week I came across this 2011 study that compared the effects of various "horror" games on players. The study limited itself to Xbox 360 titles. Right away this strikes me as an odd choice. Looking for the scariest Xbox 360 game is kind of like looking for the best hockey player in Egypt. But we can't blame the study for this. The list of games they analyzed featured several titles that billed themselves as "scary" games to one degree or another. 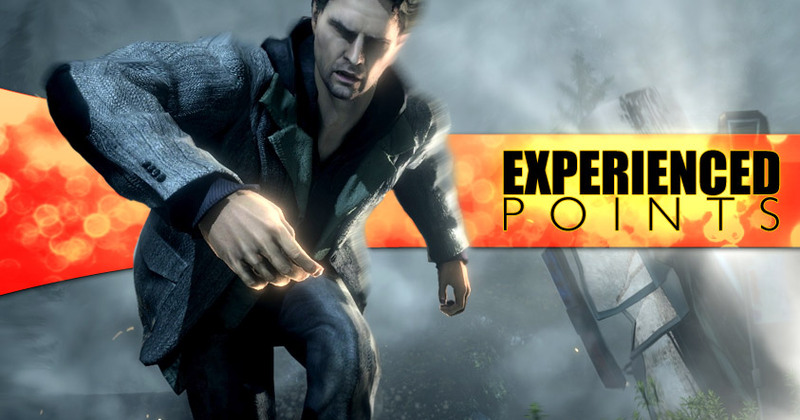 Alan Wake, Resident Evil 5, Dead Space 2 and Condemned are all games that their developers (or perhaps just the people in marketing) thought were scary. But the problem isn't this study. (Which I think captured some interesting data, even if I would have personally chosen different games.) The problem is that AAA game developers have stopped trying to scare us. Either publishers don't want to back those kinds of games, or developers have forgotten how to make them. Part of the problem is that the standard AAA shooter mechanics are completely at odds with the idea of causing the player to experience fear. Shooters are generally about learning and mastering systems through repetition. The player isn't competent at the game until the controls feel familiar, and familiarity is the opposite of what you want in a supposedly scary situation. You can't expect the player to be afraid of monsters when your core mechanics are about killing hundreds and hundreds of them. It's hard enough to keep such a repetitive action fresh and interesting over the course of a game, but keeping it scary? That's fantastically more difficult. Normally I'd just assume this was a niche market thing. I wouldn't expect publishers to back games that the public doesn't want to buy. I understand a lot more money is put into making shooters than making 4X strategy games. That makes me sad sometimes, but that's the way it is and I can't blame developers for giving the public what they want. But we see a lot of games marketed as "scary" when the gameplay itself is just standard shooter, which suggests that publishers see a market for scary games and have no idea how to serve that market. Dead Space is the poster child for this problem. The monster designs suggest they were going for something scary, but the continuous clockwork monster fights makes the game about as terrifying as working on the assembly line where they make these. Maybe some people find it a little unnerving at first, but after a couple of hours the routine sets in. That's just about the same time the game runs out of ideas. I'd call out Resident Evil at this point, but I honestly have no idea what Capcom is doing with this franchise. Resident Evil 5 was promoted under the "Fear You Can't Forget!" marketing campaign, but the game itself is slapstick stupid. It's too ridiculous to be serious but it's not funny enough to be satire, and in either case it's way too action-focused to be anything approaching scary. I suppose the most embarrassing example is the FEAR series, a franchise named after the one thing it isn't trying to do. To be fair: The first one had occasionally spooky moments and some genuinely creepy ideas, but the follow-up entries have been standard action shooters with the lights turned low. Calling these games "FEAR" is like calling Super Mario Galaxy "MELANCHOLY". The games might not be judged quite so harshly if the title wasn't making promises that the developer doesn't want to keep. These games sometimes work at creating tension. If you're low on health and bullets, you might get the feeling of "Oh no, I'm going to lose the game and go back to the last checkpoint save!" And that kind of tension can lead to thrills if you just barely manage to pull through. But it's not scary the way Amnesia: The Dark Descent is scary. It can't be because at their core, these games are about physical empowerment, which is completely at odds with the idea of being scared. To be clear, I'm not saying these games are bad, or that games should be judged solely on their capacity to scare the audience. 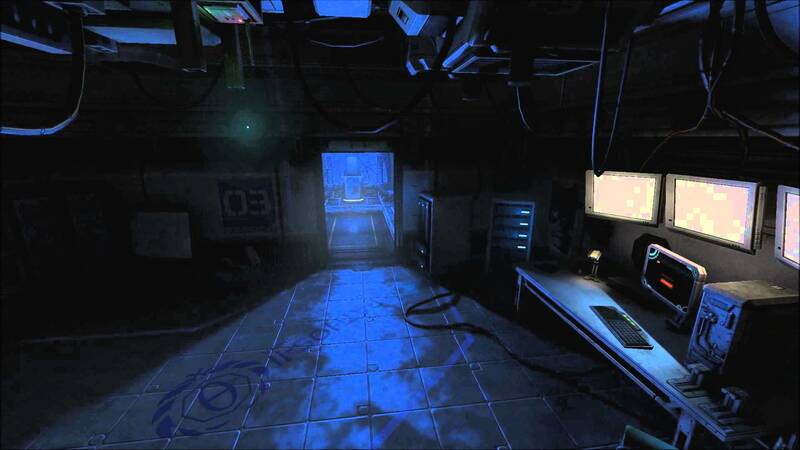 I think this year's SOMA is overall a better game than Amnesia: The Dark Descent, even though it's less scary. Fear isn't the only mark of success, even in games that are trying to scare you. I'm just pointing out that there's a big disconnect between what the marketing (or even the title) promises and what the audience gets. It's like those recut trailers where they make family-friendly movies look like horror movies, except this isn't a joke. These AAA games are presented as scary but their gameplay is pretty much standard action. And after watching this process for years I still can't tell if this is marketing dishonesty or if the people behind these games really think their titles are scary. Are they deceptive, or tone-deaf? I don't know. The thing that games like Amnesia and SOMA get right is that their mechanics support their tone. These aren't games about killing monsters. These are games about hiding and running from monsters. That resonates much better with fear. It stretches the tension out instead of obliterating it with shotgun fire. It gives the player time to reflect on their precarious situation instead of keeping them distracted with combat. Rather than giving them empowering weapons, it gives them the uncertainty of dashing from one hiding place to the next. I get that not everyone enjoys this sort of thing. What I don't get is why so many games (or marketing campaigns) pretend to be this, while being almost the opposite.